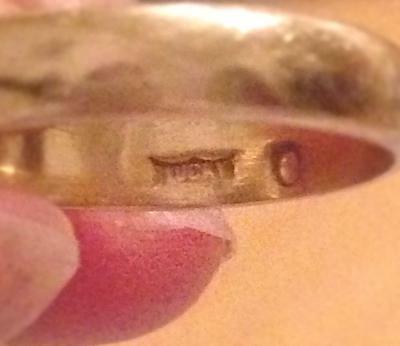 I wear my grandmother's wedding band every day but have only just noticed all the hallmarks and wondering what they mean! 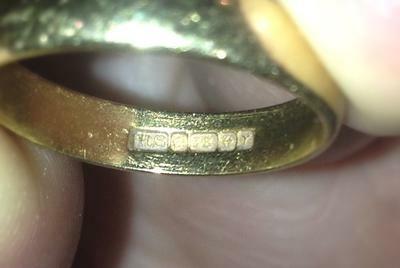 Have managed to figure out the 18 carat mark but can't find a match for the H.S (which I'm guessing is the makers mark) or the last two symbols. I believe the last is a Y. There is another stamp on the other side of the band (inside) that I think says "lucky"?